Chicago's New Year's Eve celebrations are not as famous as New York's, but there is still plenty to do on New Year's Eve in Chicago, even if you are not old enough to go to a bar. Whatever you decide to do to ring in the new year, be sure to dress warm, and plan to wait longer than normal to catch a taxi. There are always concerts in Chicago on New Year's Eve, ranging anywhere from classical music to rock, hip-hop to pop. Venues such as the House of Blues, Riviera Theatre, Vic Theatre and Aragon Ballroom host concerts that are rarely restricted to people who are 21 and over. Most of these venues let in people ages 16 and up, and sometimes younger. 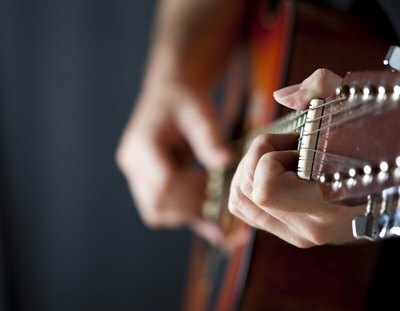 Check each venue's website for concert schedules and age details. Purchase tickets in advance, as most concerts sell out on New Year's Eve. 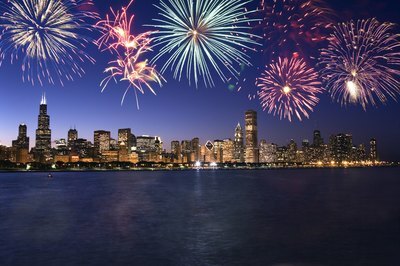 The City of Chicago hosts a New Year's Eve fireworks display at Navy Pier in downtown Chicago. 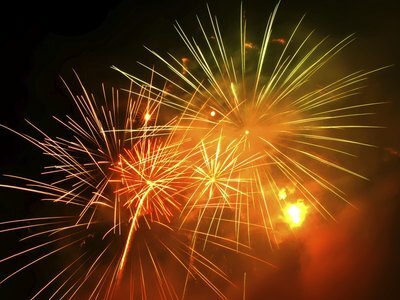 The fireworks go off a little after 8:00 p.m. and again at midnight. Be sure to dress warmly, as temperatures will likely be around or below freezing. 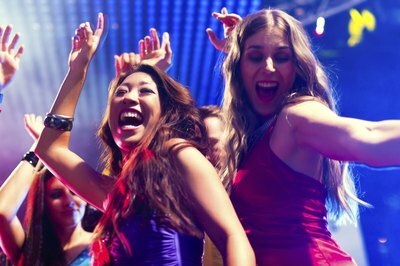 Chicago has a handful of nightclubs that cater specifically to people ages 18 and over. Most clubs feature dance music and stay open until 4:00 a.m. At Club Mambo, you can enter if you are 17 or older. DJs spin Latin, reggae, house music and more. Caribbean food is also served. Mission is another club that caters to minors. Guests have to be 17 or older, except on Friday nights, when you must be 21. DJs spin house and electronica, and the club consists of three different levels of dance floors and lounges. Club Volkan is an 18 and over club with three different rooms and dance floors. Live bands and DJs perform regularly, and there is a dress code to get in (no sneakers or jeans).